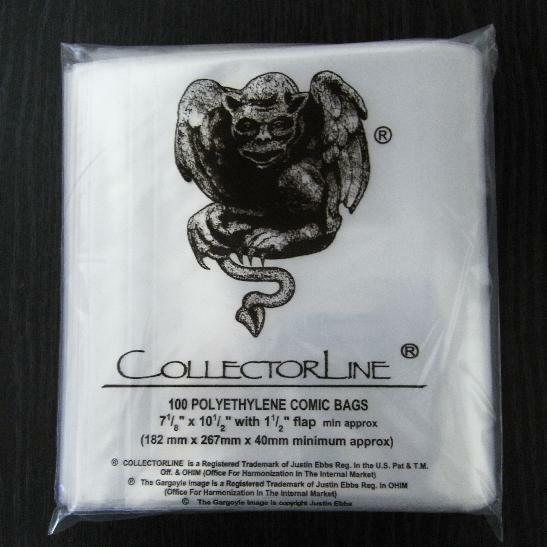 Comic Bags - Pack Of 100 by ! !<\nMade of 250 gauge, high clarity, low density polyethylene. \nSize is to fit Current Marvel/DC comics - 7 1/8 x 10 1/2>! !